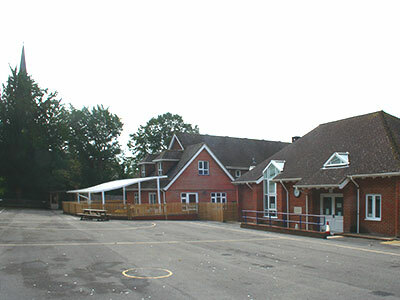 St Giles C of E Primary School, is closely linked to St Giles Church. All the children come into St. Giles Church every Friday morning for an act of collective worship, led by members of St. Giles congregation or the clergy. The new Priest, who will be an ex-officio Governor, is likely to be a regular visitor to the school. All parents and carers are also invited to the Friday service. The Eucharist is celebrated once a term on special days in the Christian calendar, e.g. Remembrance Day, Ash Wednesday and Ascension Day. Daily assemblies are led within the school by members of the staff and other visitors. Each class takes time daily for a short, quiet period of Christian meditation, giving the children an opportunity to put aside the stresses of the day and find peace in the presence of God, before moving on to the next challenge. As a Church of England Aided School, the majority of the Governors are appointed by the Diocese of Chichester Board of Education and are members of the Christian community in the village. They work with the Headteacher and all the staff and other Governors to ensure the children learn and celebrate the basic beliefs and practices of the Christian faith, as well as learning about and respecting all other faiths, in addition to the national curriculum. Although the foundation is very old, the facilities within the school have been kept up-to-date so that our children may be well prepared for life in the 21st Century. New classrooms were added in memory of Sir Harold and Lady Dorothy Macmillan, who lived near the village. A large hall was added in 2000 together with a computer suite. All of these additions were funded by monies raised from the local community and donations from local benefactors and charitable funds.